Actor-writer-producer Thomas Lennon has Larry laughing as he discusses the staying power of Lieutenant Jim Dangle & his bizarre experience with Terrence Malick. Later, author David Lebedoff joins to discuss his killer mosquito novel & its Zika parallels. 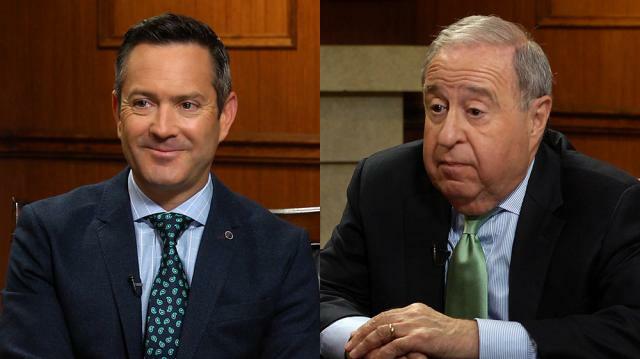 Actor Thomas Lennon joins Larry King in anticipation of the upcoming season 3 premiere of his CBS sitcom “The Odd Couple.” Lennon plays Felix Unger, the uptight roommate to Matthew Perry’s laid-back Oscar Madison. Lennon speaks to the enduring quality of the Neil Simon play, as well as the joy he gets in filming the series. Later, Larry King and improv-legend Thomas Lennon address his most famous role, Lt. Jim Dangle of Reno 911! Lennon credits the character’s sexual ambiguity with its longstanding success, as well as its frequency as a Halloween costume. He takes great pleasure in the latter, pleased that his audience connected with the character so well. Finally, Larry and Thomas Lennon revisit his time on the Terrance Malick film “Knight of Cups,” and why Lennon refers to it as the most fun day in his life. Larry King then meets with author David Lebedoff in regards to his new novel “Buzz.” It is the non-fiction writer’s first professional foray into fiction, and the story of a plague brought on by mosquitos was actually conceived and written before the Zika outbreak. Writing the novel made Lebedoff something of a mosquito effort, with advice on how to keep yourself from getting bit, and even insight into the insect’s breeding habits.